Paying for care when somebody is discharged from hospital after a brain injury can be confusing. In some cases, ongoing care needs are partly funded by social services, but there are also a variety of other options available too. If a person has complex care needs following a brain injury, they may be eligible for NHS Continuing Healthcare (CHC). Although most care outside of a hospital setting is funded through social care, CHC is paid for by the NHS through Clinical Commissioning Groups (CCGs). NHS Continuing Healthcare (CHC) is designed for people with complex continuing care needs. To be eligible for CHC, a person must be over 18 years of age and have substantial ongoing care requirements. The NHS assesses patients based on what they call ‘primary health needs’. If an individual’s primary need is related to physical health (rather than psychological or learning disabilities), the full cost of their care should be paid by the NHS via CHC funding. The NHS will determine these needs on a case-by-case basis. CHC can be provided in either the patient’s own home or a care home setting. It can fund things such as nurses or specialist therapists to visit your loved one at home following a brain injury, or provide other support including help with bathing, dressing, laundry and shopping. CHC can also pay the fees and any nursing needs your family member may have in a care home. There is a national framework that sets out guidelines, screening and assessment for CHC and NHS funded nursing care, which is produced by the Department of Health and Social Care. A person’s health needs, not their location or financial situation, is the key factor as to whether they are eligible for CHC. There are two stages to go through to be accepted for CHC: A preliminary assessment, and a full assessment. Once the preliminary assessment has established whether the person may be eligible for CHC, a full assessment will then be carried out. This shouldn’t take any longer than 28 days, although there can sometimes be delays. This evaluation covers similar criteria to the preliminary assessment and is undertaken by a multidisciplinary team, which includes either two healthcare professionals from different professions (for example, a social worker and occupational therapist), or a healthcare professional and a specialist community care assessor. Assessment of needs – this contains accurate, up-to-date information about your family member’s health needs gathered from yourself and your family, the patient, and anyone who provides care to them. Decision Support Tool (DST) – this is a 12-section document which helps to assess all the support needs of an individual and the amount of support needed. The decision support tool is completed using different weightings dependant on your needs across 12 sections. These weightings are: no needs, low, moderate, high, severe and priority. If most of the sections are weighted towards low or no needs, then it is unlikely the person will be eligible for CHC. If one is weighted as priority or two or more as severe, then your loved one is very likely to be eligible for CHC. Following the full assessment, the team will decide on whether your family member requires CHC and will make recommendations to your Clinical Commissioning Group (CCG). The CCG will then write to you about your family member’s eligibility. Managing the patient’s care and how this will be established and paid for. Whether your loved one’s care will be provided at home or in a care home setting. Which organisations will provide this care. If the individual is not eligible for CHC, the letter from the CCG should explain why. If you disagree with this decision, you can request the CCG review your family member’s needs again. Even if they are not eligible, the NHS may still fund some of their care alongside social services through joint funding and joint packages. You may have to pay a contribution or part of the cost of your loved one’s care if you are on a joint package. This contribution will only be in relation to the social care-funded part of the package; you will not have to pay any contribution towards the part funded by the CCG. Once a person has been accepted for CHC, a nurse will work with them to put together a support plan to look at their health and wellbeing goals, as well as the care and support they need on a daily basis. Arrangements will then be made to provide this care and support to the individual. Three months after your loved one first receives CHC, they will have a review meeting. The purpose of this review is to check that their needs are being met and whether CHC is still needed. After this initial period, review meetings will be undertaken every 12 months. If your loved one has suffered a brain injury, you need to know that you’re not in this alone, and you can get the support you need. 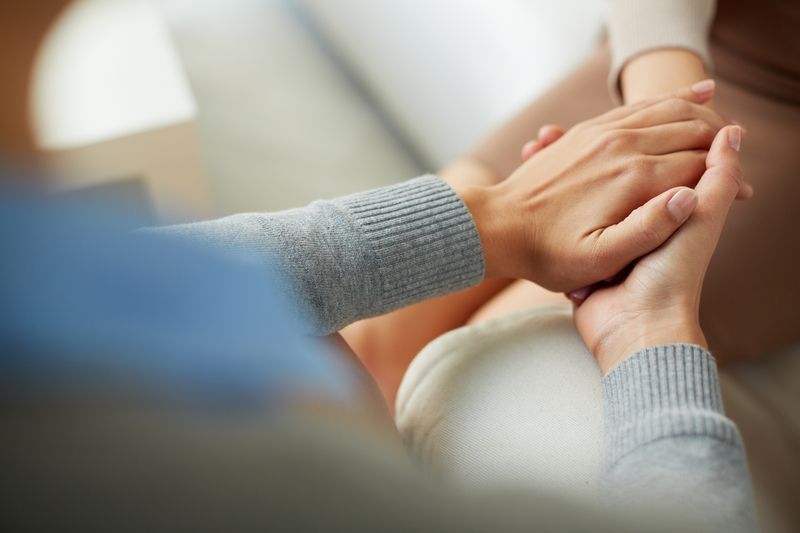 Not only can the right solicitor provide you with all the legal advice and information you might need, but also provide guidance and financial support on your loved one’s journey to recovery. At CFG Law, we understand the stress and worry when a family member suffers a brain injury, and the impact this can have on both the patient and their loved ones’ lives. As part of our brain injury support services, we have an emergency fund in place to pay for care, travel expenses for hospital visits, rehabilitation and counselling. Our fund can also help with purchasing specialist equipment to improve independence and mobility and help with other immediate financial needs that your family may be experiencing.